Botulinum Toxin is a material that can be administered either into a face muscle to prevent the development of premature wrinkles or in to the sweat glands in order to control excessive sweating. - Botulinum toxin has been known for over a century and it has been used for medical purposes for over 50 years. 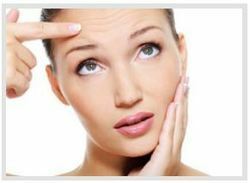 Laser wrinkle treatment smoothes your skin without changing your looks. You look like yourself - but with more youthful-looking skin and without the facial changes and side effects that can be associated with surgical face-lifts or injections. Botox and Restylan gives excellent results. Other collagen fillers are also used. If your wrinkles bother you, you have many options to help eliminate or at least reduce their appearance. Regular facial is very effective in controlling the wrinkles because massage increases the blood circulation. 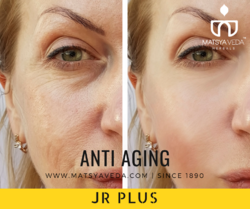 It further results in tightening of the muscles and tissues of the skin and thereby reducing the fleshiness of the skin and thusrestoring a young look. • Remove the make-up to open the pores of skin.